IPL team Royal Challengers Bangalore (RCB) has finally ended its failure streak and bagged a memorable victory. After losing six back-to-back matches, RCB has won in its seventh match giving the utmost happiness to all the 'RCB'ians. The skipper of RCB, Virat Kohli was relieved with his first victory in this IPL and said he was under pressure during the bad period. Talking about thr game, he gave the entire credit to his wife Anushka Sharma. He claimed that Anushka has encouraged him a lot. ''Anushka has always stood by me in my bad periods. I used to have only one strong woman (mother Saroj Kohli) in my life. But now, Anushka has joined her and I'm very lucky to have her as my wife.'' Said Virat and stated that his good times started only after marriage. ''In this IPL season, I was under immense pressure after all the back to back failures. But, I overcame it only because of her(Anushka's) valuable words. That's why I love to spend my quality time with her,'' added Virat. 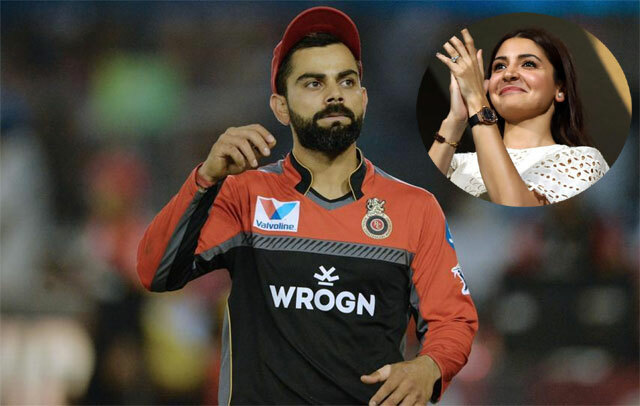 The fans are still gushing over Virat's emotional words about his wife. This power couple never fails to give us some serious relationship goals. Isn't it? MPs Rankings: Not Even One From AP In Top 100!